Div1 Edtech in EPSB: Be Proactive! Teach Your Students How To Problem Solve Technology Issues. Be Proactive! Teach Your Students How To Problem Solve Technology Issues. One of the biggest roadblocks with using technology with students are the technology problems you encounter. Dealing with technology problems can be what the teacher spends time doing instead of working with students on academics. It can also be what deters people from using technology in the division one classroom. 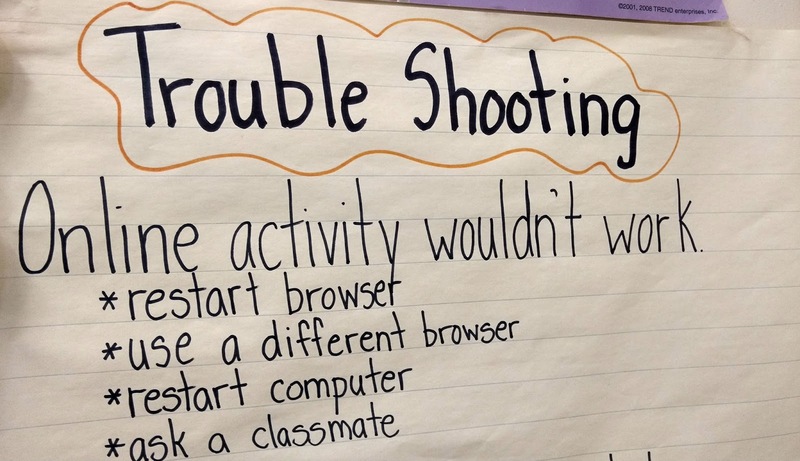 One way to help mitigate this issue is to teach students how to problem solve technology issues. 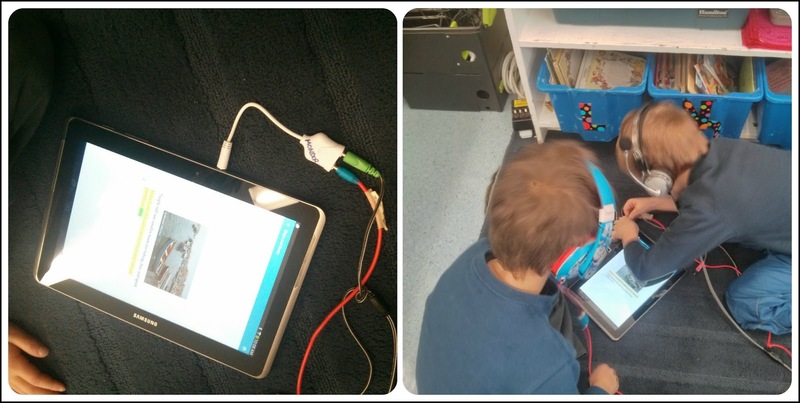 It also helps teach them an important life skill - confidence with how to troubleshoot technology problems. Like much of my teaching, many of these ideas are ones I learned from other educators and adapted for my own use. Sometimes when a piece of technology is not working the fastest and most effective way to problem solve is to turn it off and then on again. This used to be a hassle with desktop computers and laptops, however if you are using a Chromebook, it does not take that long. If you are using a device that has a variety of browsers, sometimes changing what browser you are using will help. Simply closing the browser and opening it again can also help. These are simple steps students should learn to do independently. When I am doing a whole class activity, I teach my students early in the year to ask others for help before me. I teach them they need to ask two people before asking me for help. I shorten it to "Two Before Me" when reminding students of the expectation. I have also seen "Three Before Me" for those who like rhyming rules. Encouraging students to seek peer assistance is useful for many reasons. It helps eliminate dealing with small issues that often result from students not attending to instructions. "What page are we on? ", "What do I do next? ", "How do I get to that website?". I use it throughout the day, but it is especially helpful when technology is used. It also helps to create an environment of collaboration and that "we are all in this together". The danger of having students getting help from their peers is often their peers DO instead of help. While this might help solve the issue at hand, it often does not assist the student who needed help in developing independence. So I inform students that when they are helping someone, only the person who is getting help can use the Chromebook. "You can help but you can't do it for them". Often you will have a few students who are your technology experts in class. Why not explicitly identify them? When we are doing a technology task, especially if it is new, I will ask if any students feel they are able to help others. Who are the experts? 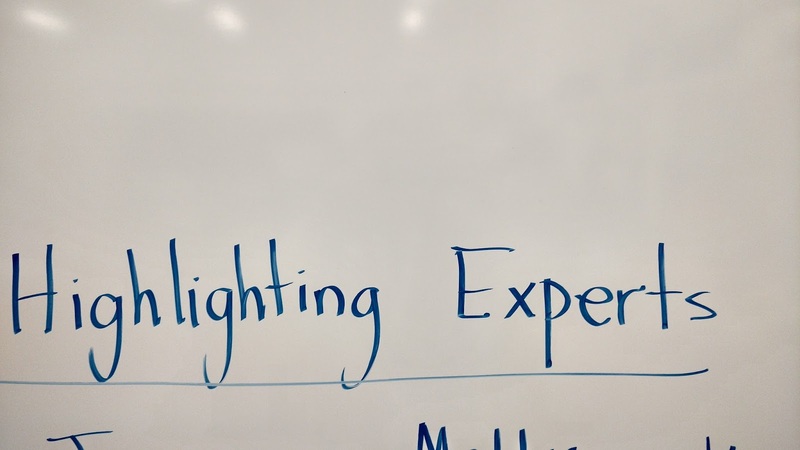 I put the word "experts" on the board and have students sign up underneath. Students who are experts have to be willing to help others and be interrupted. I leave the list "open" and students who feel they understand enough to be an expert as the activity progresses can add their name. Sometimes I will pull a small group aside and train experts for activities that students will not have had experience with. I have seen some classrooms where these experts are permanently posted. As a division one teacher, I use centres a lot. Anyone who has used centres knows that in order for them to be effective, students need to be independent. Using technology can enhance and complicate centres. The more variety of technology in your class, the more challenging this becomes. But not impossible. 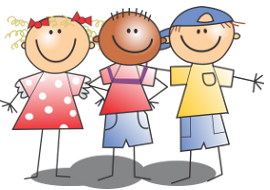 I teach my students that when I am working with a group at centre time, I am not to be interrupted unless it is an emergency (the 3 Bs: bathroom, bleeding, barfing). A technology problem is not an emergency. So when I introduce a new centre, in addition to teaching the centre, I create a poster to remind students of the expectations for the centre. It also includes problem solving steps if the centre involves technology. If it is just one person's technology that is not working? Well, they could share with someone else. If no one's technology is working then they can read a book, use whiteboards to practice spelling and so on, depending on the main intent of the centre. It's a good idea to review the poster (expectations/problem solving) over the course of the year. As mentioned above, I tell students that if their computers/tablet/whatever will not work, that they should share with someone else. This was difficult to do when headphones are used. Students can share a device without headphones, but then the sound is distracting to others. So I had an "a ha" moment when I was shopping one day. Splitters. They are inexpensive and make sharing easier. They work with computers and tablets. Please leave your tips and tricks in the comments.